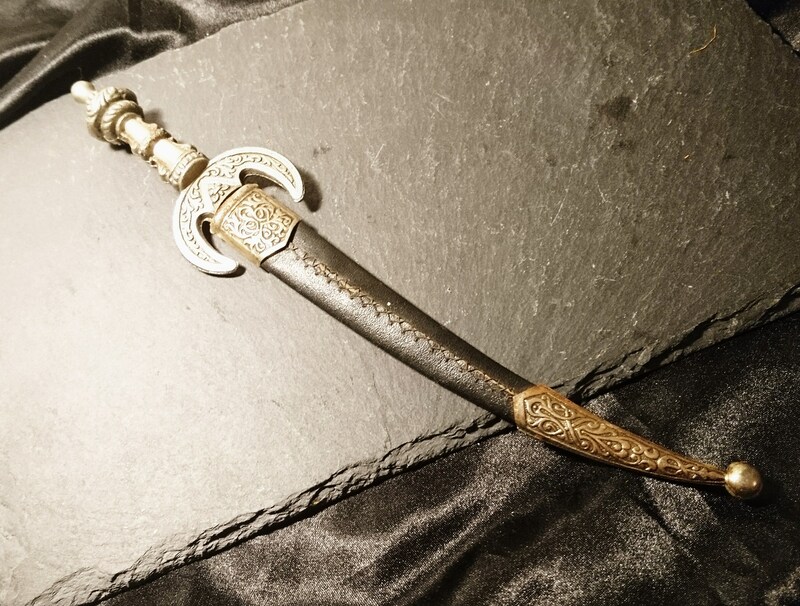 A lovely vintage novelty letter opener in the form of a sword / dagger. 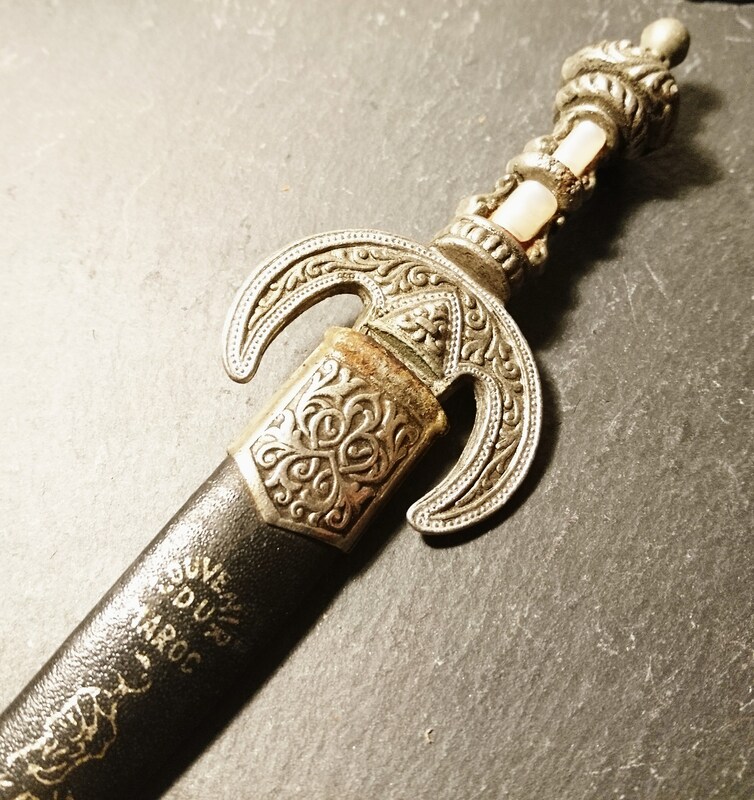 Made in Morocco in the 1930's iris a souvenir piece, the scabbard is stamped with Souvenir Du Maroc. 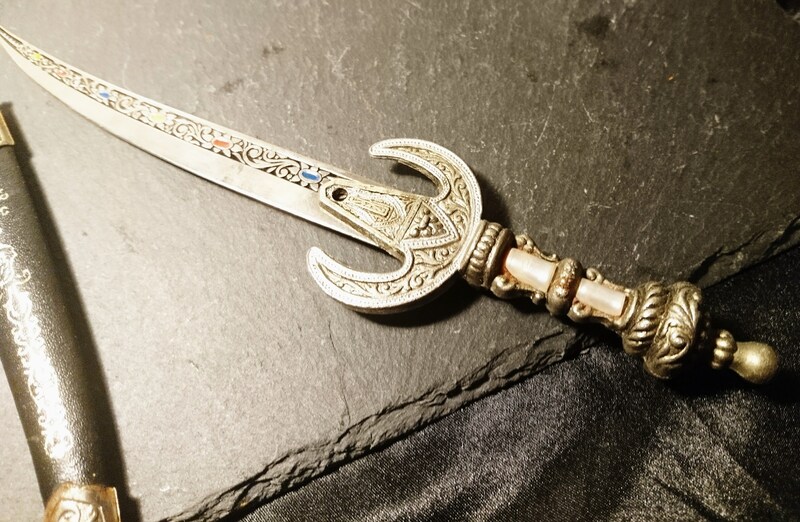 It has a lovely decorative hilt made from brass and steel with mother of pearl set into the top, the blade is shiny silver steel with a colourful hand painted design. 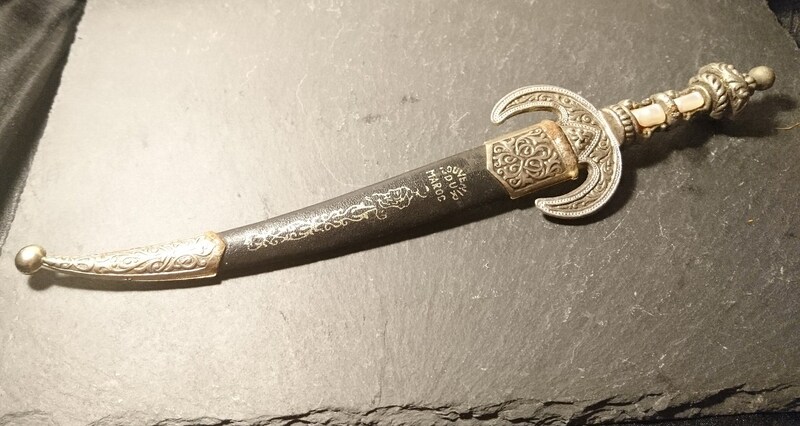 A very well made attractive little piece. 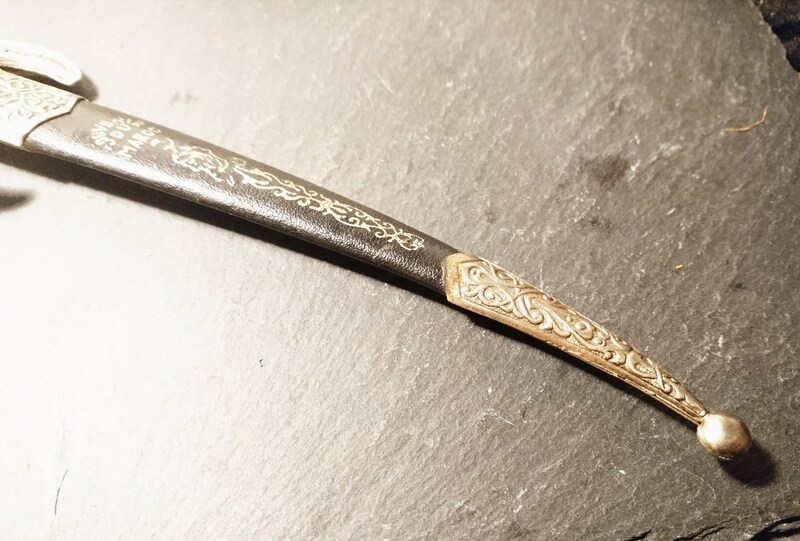 Approx 10" length and 2" width.